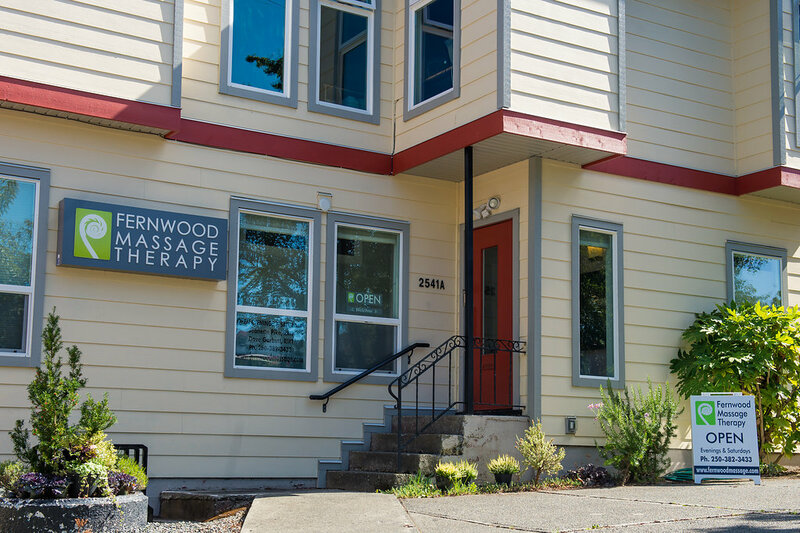 Fernwood Massage Therapy is located at 2541A Empire Street on the corner of Empire and Haultain, one block from Cook and Haultain. There are two parking spaces located in front of the building. There is also free street parking available on Empire and Haultain Street.